heart wrote: Who is your teacher? I would like to advise to never reveal one's teacher publicly. Why? Own wrongdoing that becomes known or every nonsensical talk one is unable to refrain from may cast a cloud over the teacher in the eyes of others. The teacher may be an arya who may benefit others, oneself may be only ordinary. Re: Beginning Longchen Nyingthig Ngondro! At this point, I am not comfortable revealing that on this forum. Perhaps it was foolish of me to create this thread at all. Not foolish at all Luke. Rejoice that you've found a teacher that you've found an affinity with, and share that happiness with others! "Oneself may be only ordinary"? I think we can safely assume we are all ordinary people here and I can't see how that should cast a shadow over our teachers? What is it that make you uncomfortable about that? I doubt that one can assume this of others in the first place and it is not advisable to do this in the first place. It often happens that people's seeing is different. heart wrote: What is it that make you uncomfortable about that? Things can get out of hand quickly on the internet. I want avoid any potential downfalls, such as competitions to see who has a greater guru or such as name-dropping to impress people. Right now, it's simply easier for me to act skillfully if I don't reveal this info. Maybe after I have more experience and after I have received more instructions from my lama, I will tell more. Luke, you don't have to reveal who your Guru is if you don't want to. Best to you and your practice. Whatever makes you happy. I have no problem saying who my Guru is, Tulku Chökyi Nyima Rinpoche, and I don't think that anyone thinks that everything I say is something I picked out of his mouth. Last edited by heart on Sat Jan 08, 2011 6:14 pm, edited 2 times in total. Pure perceptions is not to try to imagine something that isn't there, it is seeing clearly what is very ordinary. heart wrote: I have no problem saying who my Guru is, Tulku Chökyi Nyima Rinpoche, and I don't think that anyone thinks that everything I say is something I picked out of his mouth. I agree magnus. And I genuinely hope no one thinks all my opinions are representative of my teachers as well. Whatever what you call "pure perception" may be (something "real" or a metaphor), but what does that remark add to the fact or how does this remark modify the fact that our views are different? heart wrote: I have no problem saying who my Guru is, ... and I don't think that anyone thinks that everything I say is something I picked out of his mouth. I guess - or at least what I originally meant - it is more about the qualities one displays. Having publicly revealed one's teacher and displaying a certain type of "inappropriate" qualities may cast cloud over the teacher in others minds in that it may arise in others the thought that what this teacher teaches and how he instructs his students obviously is not efficient in removing their afflictions (because one would of course assume that what the teacher teaches is practiced by the student). Others may ask themselves "Do I want to be like this student?" And answering in the negative they would avoid this teacher X although perhaps in their case this teacher would be able to teach them conducive teachings. I see, it feels very much off-topic but I don't see Buddhist forums as PR for one teacher or an other and sure hope no one ever use a forum to find a teacher. Also in my experience it would be a great mistake to judge a teacher by his students even when meeting him/her in person, at least in Vajrayana. Many teachers have a collection of very "unusual" people around them. There's nothing wrong with that. It's actually quite prudent. I remember one time on another forum, a member posted something his teacher had said to him in a private interview, only to have it criticized and picked apart by other members. Better to attempt to keep things as objective as possible on internet forums. heart wrote: Also in my experience it would be a great mistake to judge a teacher by his students even when meeting him/her in person, at least in Vajrayana. Many teachers have a collection of very "unusual" people around them. I think so too. And if I do or say something stupid I hope people think it's simply because I'm an idiot, not because my teacher is. I have the same way of looking at other people haha. TMingyur wrote: Others may ask themselves "Do I want to be like this student?" Which would be an error, the question should be "Do I want to be like this teacher?". After all they'd be taking teachings from the teacher not those weird students. And even so, they can learn what not to do from them haha. one can think about things in many ways. And one may question all ways of thinking about things. The way of thinking I have expressed was one (of maybe several) rationales for not revealing one's teacher. This was the only reason why I posted some comments here. Actually this has nothing specific to do with the subject of this thread but may be applied to all contexts of teachers and students regardsless of tradition, school and what have you. Just like it would be a mistake to assume negative things about a lama just because one of his/her students did negative things, I also think it would be a mistake to assume great things about a student just because his/her lama is great. 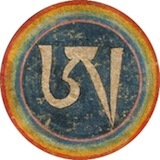 I remember how things used to be on E-Sangha: A newcomer would come into the Vajrayana section and make a few posts expressing interest in Vajrayana and wishing everyone well only to be met with stiff disdain and suspicion from many of the long-time members, like someone walking into the New York Yacht Club wearing a cheap suit. Then the newcomer would say, "My teacher is [name of important lama]," and then the other members would apologize and say basically, "Oh sorry, we thought you were just another jerk!" I hope we can stay away from forming such a name-dropping-based hierarchy here and remain welcoming to all interested members. I don't know Luke, I don't remember anything like that from e-sangha. I find it is quite civil to introduce yourself. I even participated in forums where everyone was known by name and teacher, I found that superior to these anonymous forums. Yeshe D. wrote: There's nothing wrong with that. It's actually quite prudent. I remember one time on another forum, a member posted something his teacher had said to him in a private interview, only to have it criticized and picked apart by other members. Better to attempt to keep things as objective as possible on internet forums. The mistake is to talk in a forum about the private instructions you receive from your teacher, not mentioning your teachers name. heart wrote: The mistake is to talk in a forum about the private instructions you receive from your teacher, not mentioning your teachers name. If someone wants to mention their teachers name(s), that is fine. If someone doesn't, that is fine too. I think it is prudent on an internet forum to keep things as objective as possible, which includes not disclosing too many autobiographical details.